I was born and brought up in Thurso, the most northerly town of Scotland. My childhood was spent in a fishing and shooting environment. The family always had dogs consisting of various breeds, Spaniels, Labs, Terriers, Long Dogs and sometimes a combination of them all. In my late teens I moved south to Inverness and for a long time I worked in the Oil industry. During this period I trained with H.P.R. and commenced competing in 1985 at which time I was relatively successful. This fuelled my enthusiasm for gundogs and after getting involved in Moray Firth Gundog Club, I started training and competing with Labradors. For several years I took part in many gundog tests and trials. I have run for my country at various events with some success. A number of my dogs have become Field Trial winners and three were made up to Field Trial Champion Level. I received the accolade of being second at the British Retriever Championship in 2006, in the same year I was honoured with the Top Dog at the Skinners World Cup Retriever International at Highclere Castle 2006 – 2007. I have also been an A Panel Judge for retrievers for a while. Recently I have judged the IGL 2018 and the 2018 Irish Retriever Championship. Fortunately my job allows me to spend adequate time with my gundogs. This is a hobby which I really enjoy and I look forward to continuing the success which I have gained meeting and developing relationships with people worldwide who share a common bond. 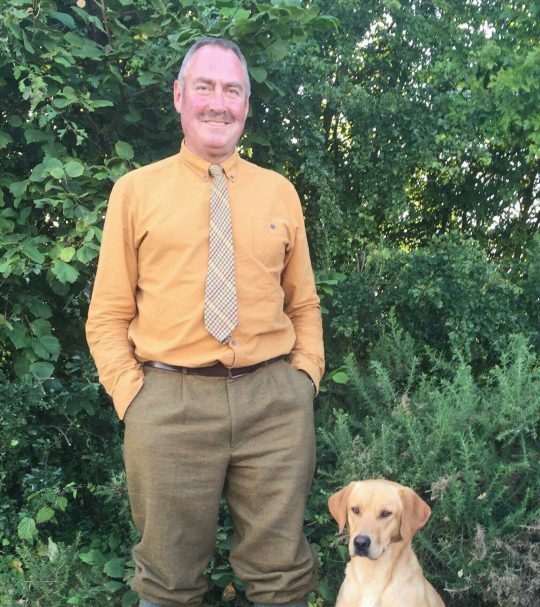 I am pleased to have been asked to judge the Munich-Cup and I look forward to a weekend of good gundog work.